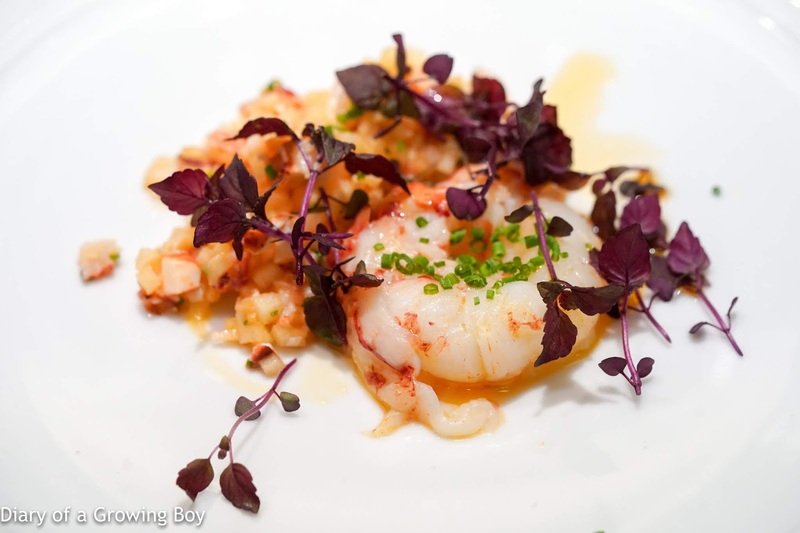 Maine lobster with shiso cress and yuzu vinaigrette - this was fine. The "salsa" on the side featured diced apple and lobster, and there was some shellfish oil which delivered lots of umami. 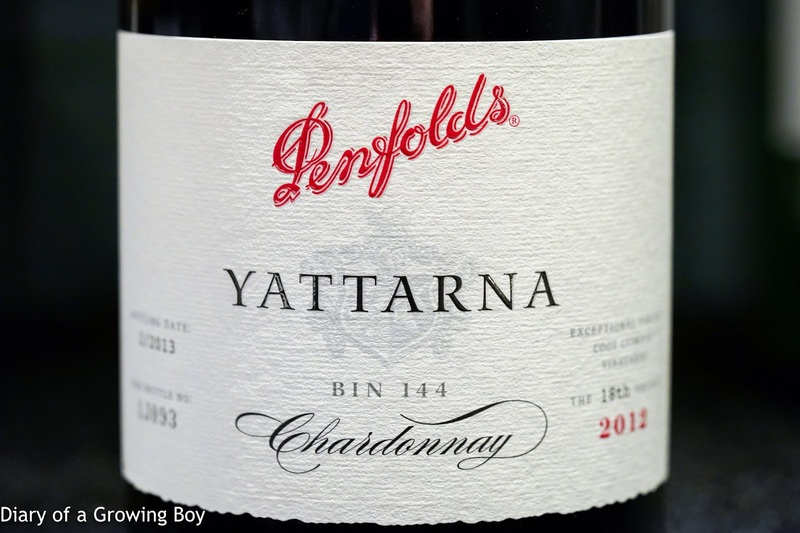 The word 'yattarna' in the Aboriginal language roughly translates to 'gradually, little by little'... and it's been labeled as Bin 144 - meaning that it was finally released after 144 trials before the winemakers felt they got the wine right. 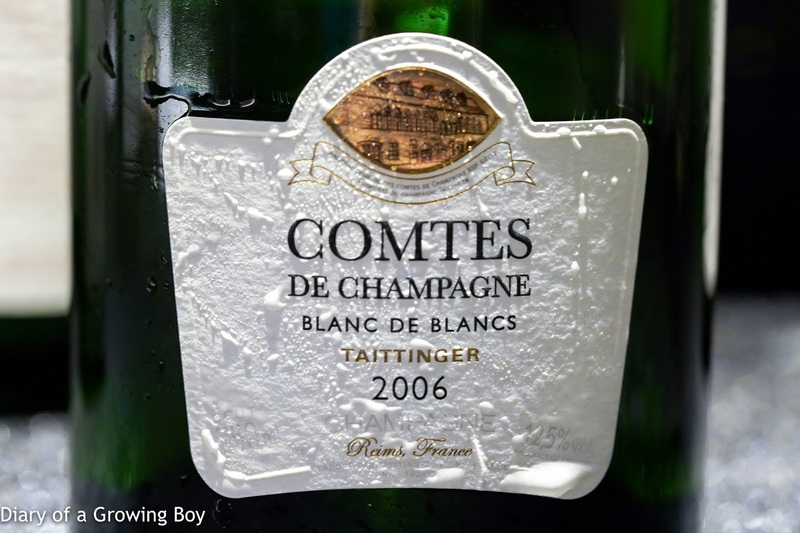 I bought a few bottles more than a decade ago, and fell in love with it when I popped open the first bottle back in 2010. 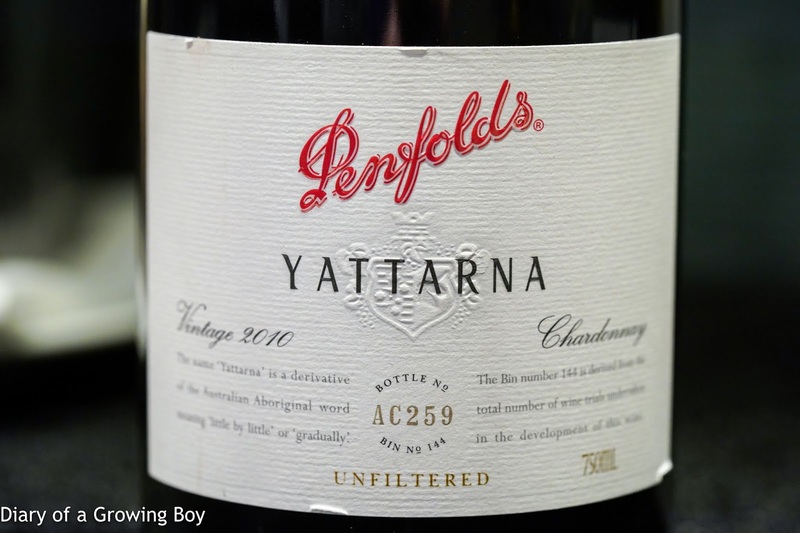 It's probably my favorite Australian chardonnay, and I was glad to taste these younger vintages tonight. 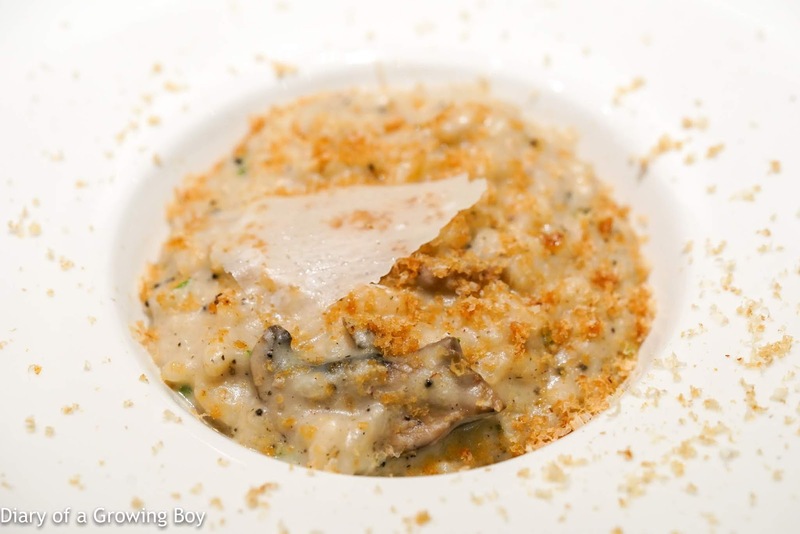 Truffle and mushroom risotto with Parmigiano and hazelnuts - this was never gonna be any good. The risotto clearly wasn't cooked at the on-premise pantry, so it was always going to come out soggy. I had always heard this wine being called "baby Grange" but never took it seriously, as it was readily available at a very pedestrian price at many neighborhood stores - including supermarkets - when I first started drinking wine 2 decades ago. 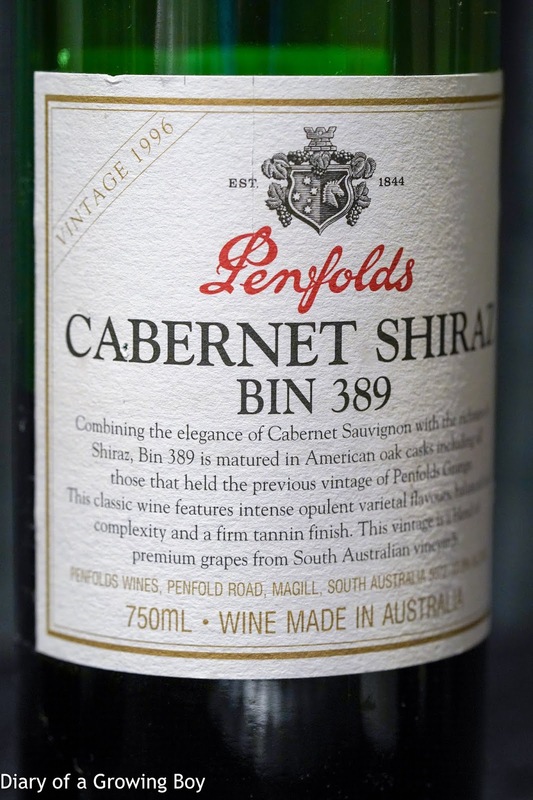 I'd always regarded it as a quaffing wine, and would never dream of cellaring any. I was really flabbergasted at how well these wines have aged. 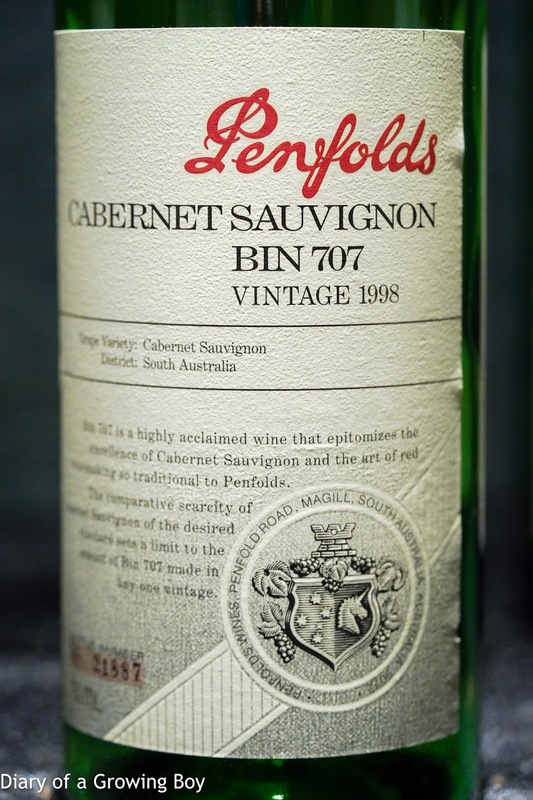 Interesting to find out that this wine - first made in the 1890s, long before the property was acquired by Penfolds - doesn't see any new oak at all... as the oak vats they are matured in are at least 50 years old. 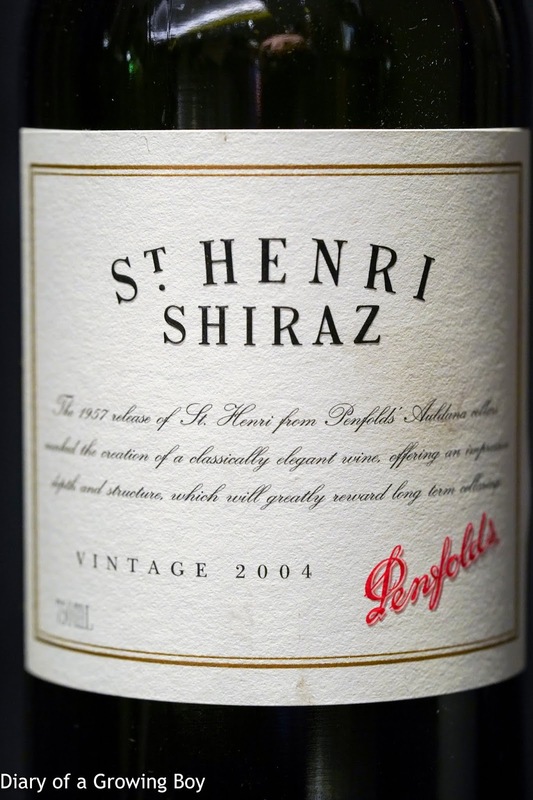 I've known for a long time from Aussie friends that this wine has a certain reputation, although I myself never found it to be special. I now have a newfound respect for it after this evening. 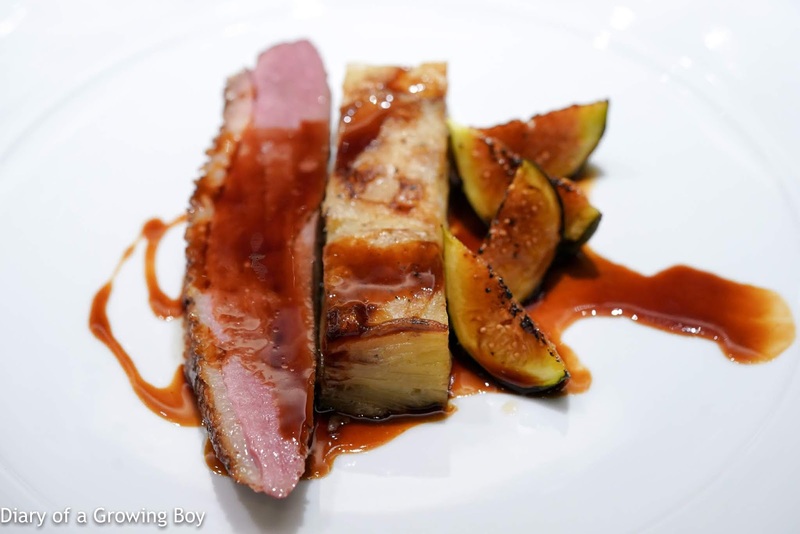 Braised pork collar with fennel puree - basically, what we have on the plate were two large pieces of char siu (叉燒)... Not quite 豬頸肉 perhaps close to 脢頭肉, and very tender. 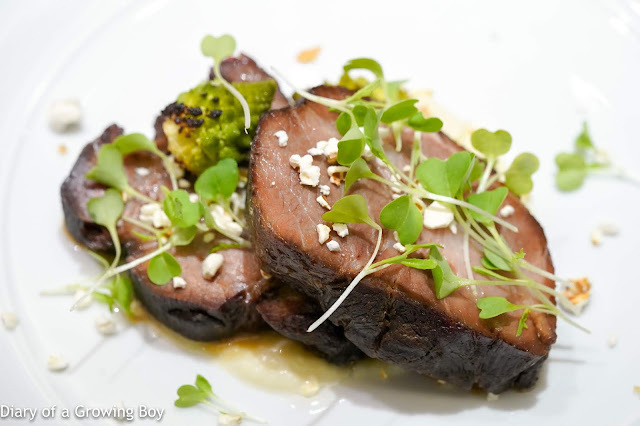 The marinade was definitely on the sweet side. Some romanesco broccoli on the side. 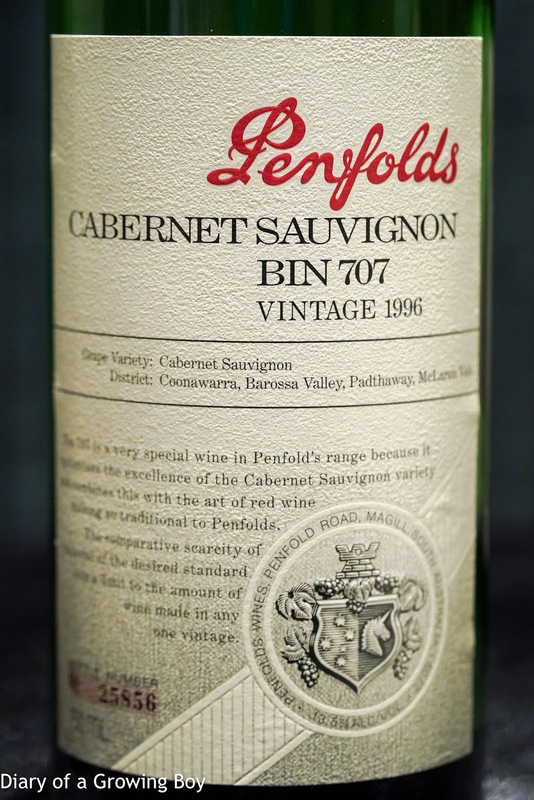 I have always enjoyed this wine - the best cab from Penfolds. 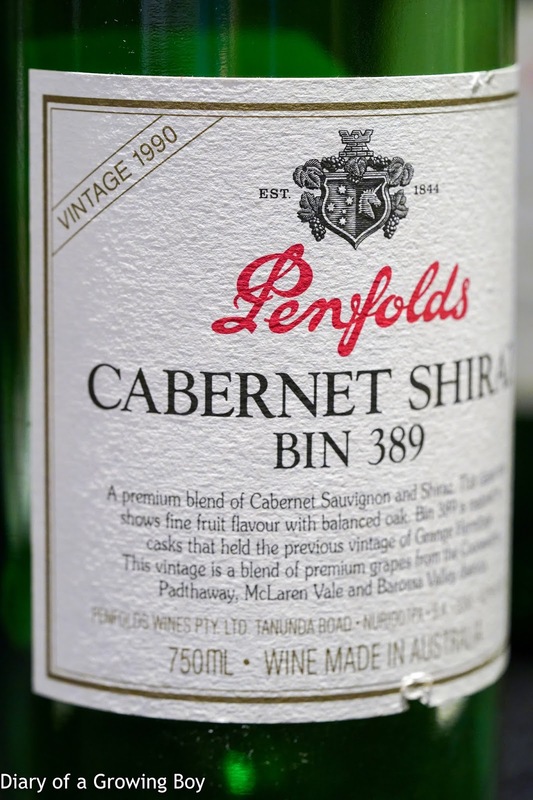 A friend in Tokyo actually generously shared a bottle of the 1996 with me last month, and I was pretty surprised at the current market price of that vintage... as I'm still stuck in the age where 707s cost around USD 100... Film Buff and I were completely floored when Peter Gago told us that the retail price of the current vintage now lists for AUD 600. Even taking the 29% Wine Equalisation Tax into account, that's still a big jump from where it used to be. 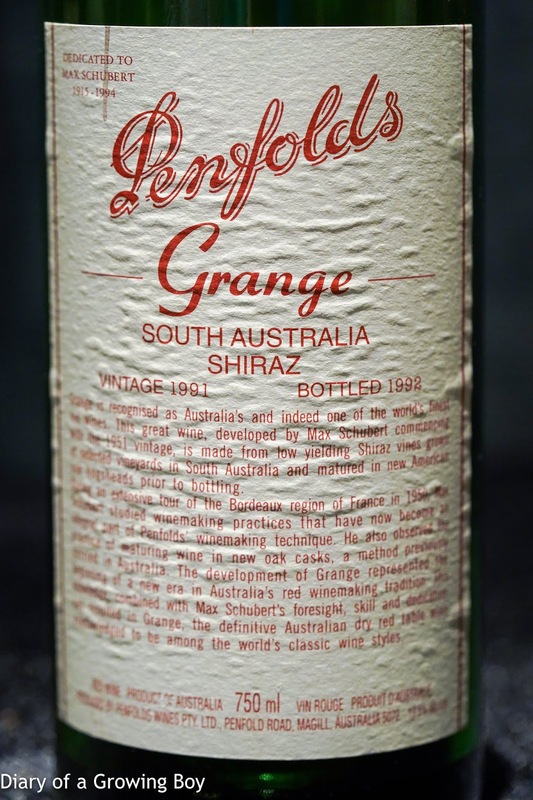 I have been telling a lot of my friends that one cannot begin to enjoy a bottle of Grange until it is at least 20 years old. In fact I was enjoying bottles from the early eighties during the early noughties. 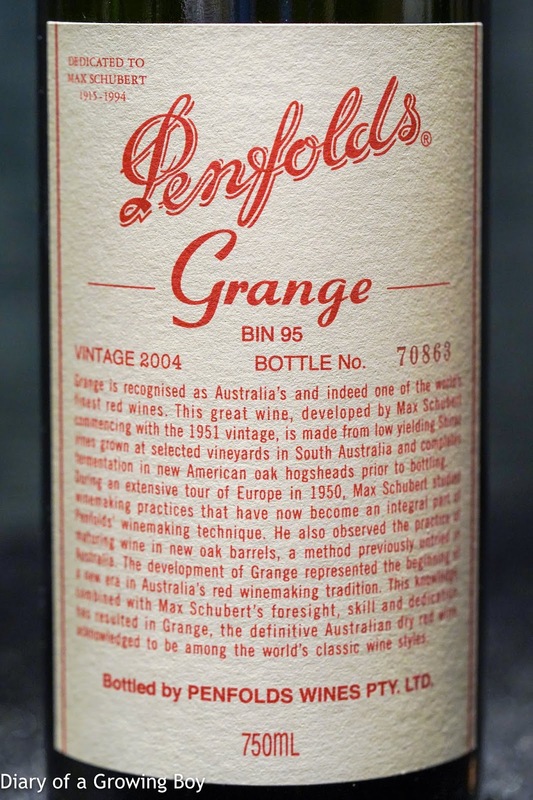 My current go-to vintage for Grange is 1981, which is drinking fantastically well. The two vintages we tasted tonight were, incredibly, still too young. 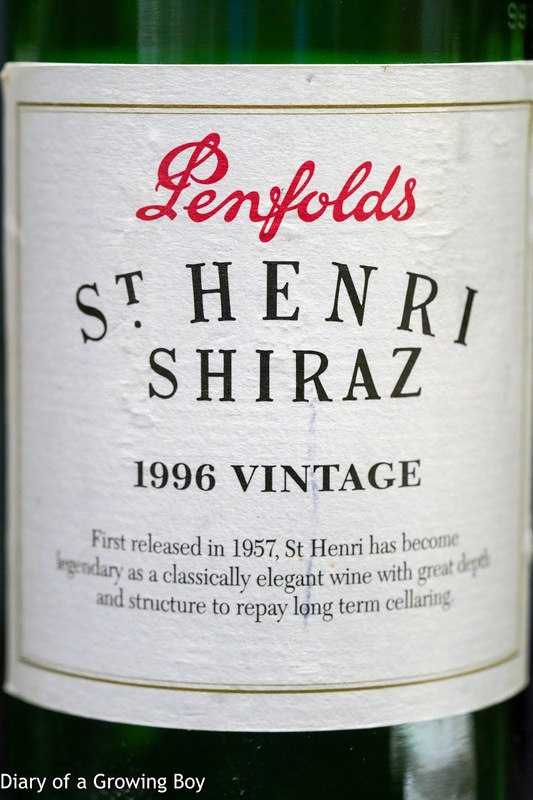 Which is amazing given that the 1991 is almost three decades old! 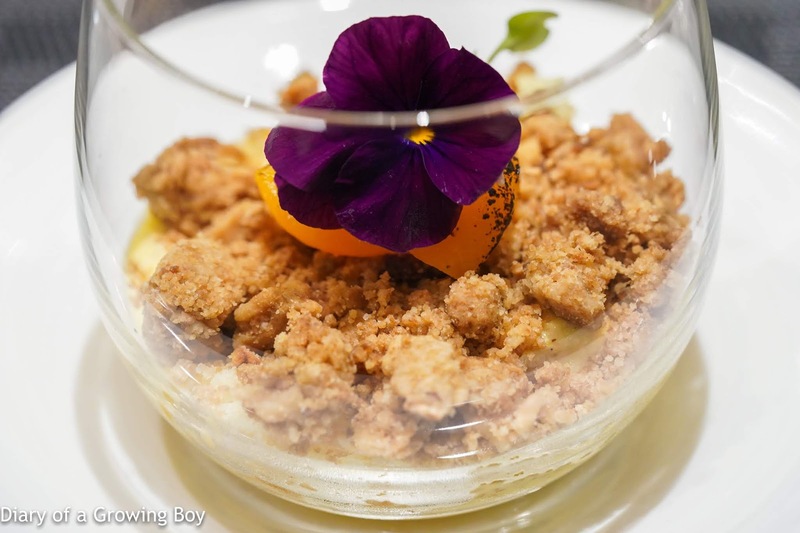 Apricot and walnut crumble with vanilla sauce - pretty decent. 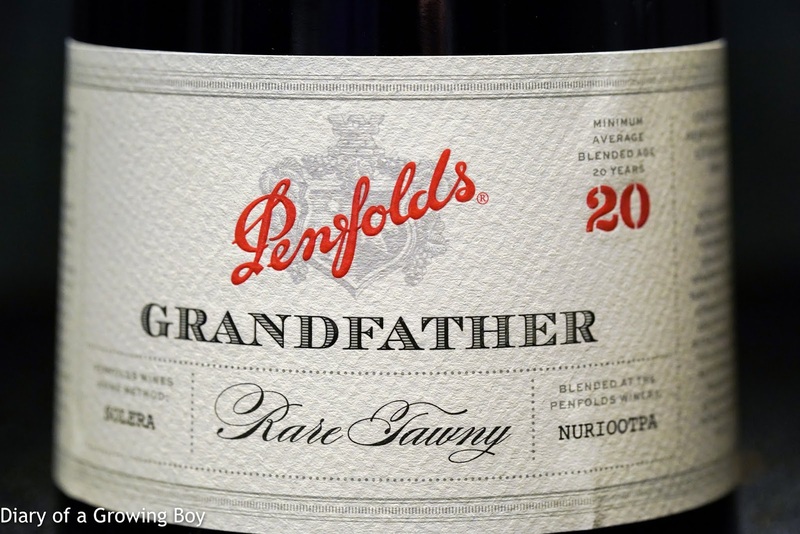 Penfolds Grandfather Rare Tawny - obviously a little sharp and alcoholic on the nose, with a nice touch of nuttiness. Very nice. The average age of wines in this solera system is about 25 years old. This was such an educational evening! 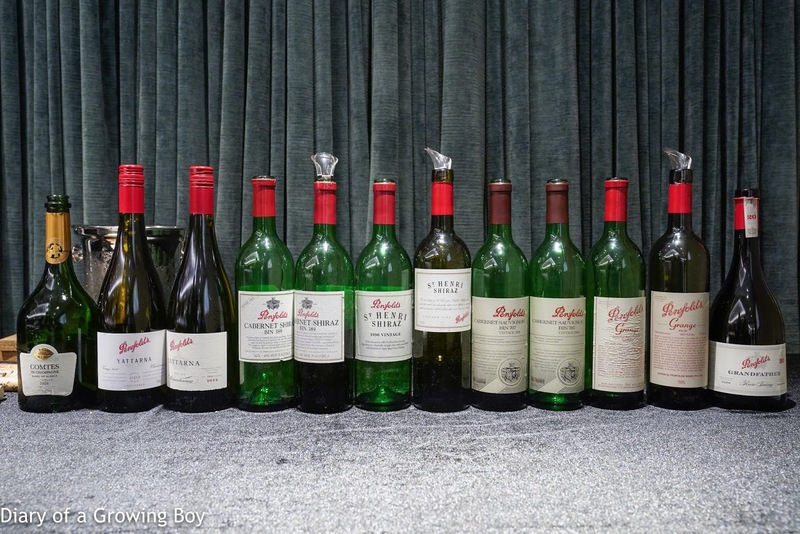 Many thanks to Sotheby's for the opportunity to taste these wines, and of course I must express my gratitude to the consignor for generously offering the bottles in the first place. 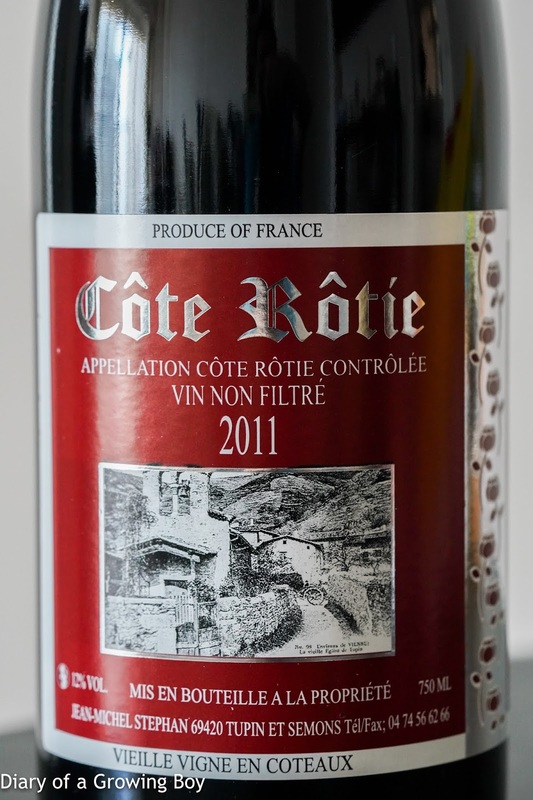 Let's hope that I'm successful in bidding for some of the wines in tomorrow's auction. There was a huge spread of food put on by the chefs, but I was simply too full to enjoy much of it. I ended up nibbling on a couple of empanadas - there were two different types, and I preferred the ones with black beans. While most people were busy sipping on Champagne provided by our hosts, I chose to bring some bongwater to share with a few people.